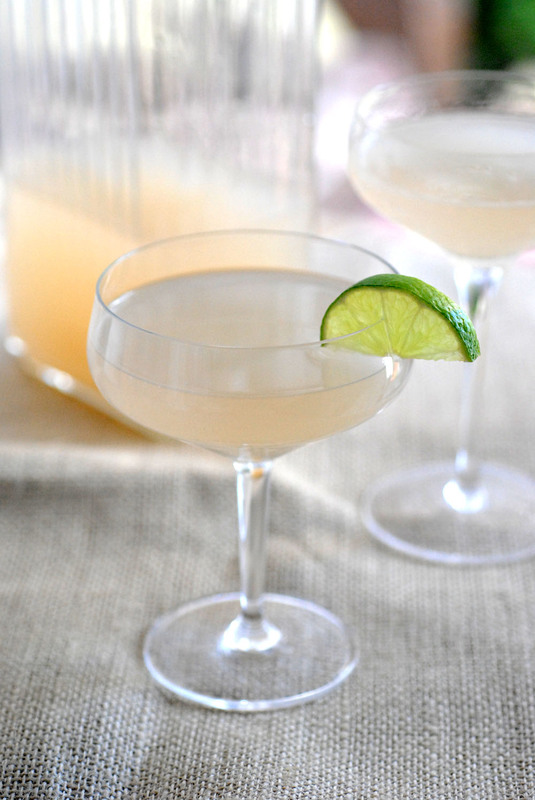 The Backyard Bartender: A Tale of Two Daiquiris. A Tale of Two Daiquiris. The good folks at Brugal Rum were kind enough to send me a bottle of their Brugal Especial Extra Dry, which, it turns out, makes a really lovely, balanced Hemingway Daiquiri. And as luck would have it, Texas ruby red grapefruit is just back in season, so get you some of that. To make the drink: shake over ice and then strain into a chilled coupe. Garnish with lime. So how does it taste? Just like it looks. If you've been used to daiquiris of the kind dispensed by slushee machines on Bourbon street late at night, you may be in for a bit of a surprise. 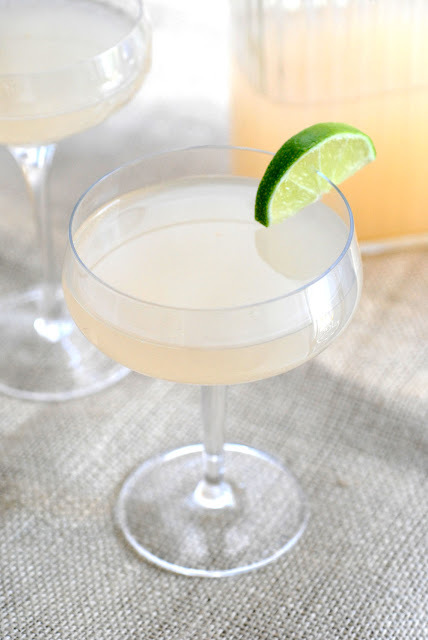 This daiquiri is very light, and delicate, and pink. "...two and a half jiggers [or 3 3/4 ounces] of Bacardi White Label Rum, the juice of two limes and half a grapefruit, and six drops of maraschino, all placed in an electric mixer over shaved ice, whirled vigorously and served foaming in large goblets." So of course I had to try that too. This wasn't the first time I had followed in the boozy footsteps of Ernest Hemingway, but I'll admit, I was a little intimidated. because you know, that's a whole lot of rum. Like a whole whole lot. Then I put all those things in the blender, and kept adding ice, running the blender occasionally, until I got to the desired consistency. So here are some things you should know about the original, for real, super-authentic Hemingway Daiquiri. For one thing, this recipe makes a drink that is truly massive. I had trouble finding a glass that would fit the whole thing. It's also quite tart, although not in a bad way - I found it to be light and incredibly drinkable, like a limeade with a little extra kick. This might help explain how Hemingway supposedly consumed 16 of them at one sitting. Actually, according to Paul Clarke (who got his info from Papa Hemingway, a memoir about the author written by longtime friend A.E. Hotchner), the recipe above was the formula for the drink served by Havana's La Floridita bar to tourists who wanted to drink what the legendary author drank. The drinks served to Hemingway, Hotchner indicated, came in glasses approximately twice the size of those used for the 'tourist' version. Let's do a little math, shall we? B. Ernest Hemingway was a BEAST. Whatever your thoughts on this, though, it's true that both Hemingway's original and the modern version are a surprisingly delicious, and remarkably efficient, alcohol delivery system. Cheers. I've found that Target's limes tend to be pretty consistent, juice-wise. Though, they also seem to go bad quicker, so you have to use them within -7 days before they start to taste a little funky. I tried organic limes from a couple of different places, but drinks never tasted quite right. From what I understand, the Papa Double dropped the sugar in an effort to not set off his diabetes. Me, I'll stick with the smaller and sweeter version. I like my liver just the way it is. If you want juicy limes, look for soft yellow ones.